In 1980, Namco created a character that was small, round and yellow. It's mouth consisted of a piece cut out of the main circle, like a slice of cake. 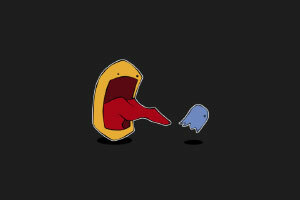 Pac-Man was born. 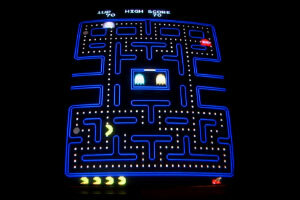 It was a huge hit in the arcades across the globe, and Pac-Man is still going strong today. 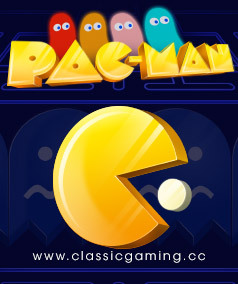 With every new generation of game systems, Pac-Man continues to be part of the gaming community. When Pac-Man was released in 1980, the most popular arcade games were space shooters, in particular Space Invaders and Asteroids. The most visible minority were sports games that were mostly derivative of Pong. Pac-Man succeeded by creating a new genre and appealing to both genders. Pac-Man is often credited with being a landmark in video game history, and is among the most famous arcade games of all time. The character also appears in more than 30 officially licensed game spin-offs, as well as in numerous unauthorized clones and bootlegs. 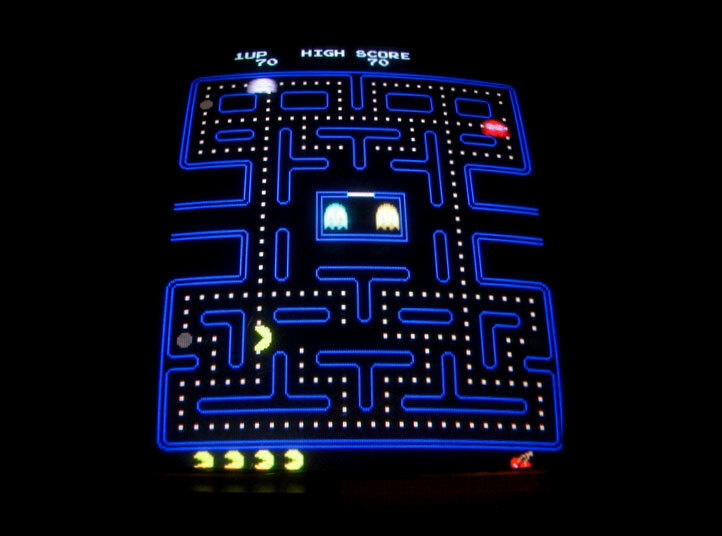 Pac-Man is one of the longest running video game franchises from the golden age of video arcade games, and one of only three video games that are on display at the Smithsonian in Washington D.C., (along with Pong and Dragon's Lair). Want to play the classic arcade game? 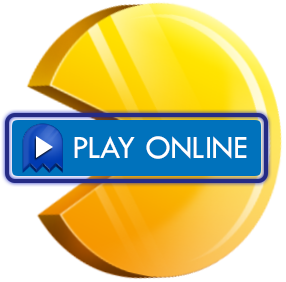 Play Pac-Man online. View more wallpapers in our desktop section.